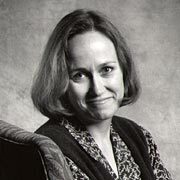 Today I think of Leslie Whittington, an economist and associate professor of public policy at Georgetown University who was killed along with her husband Charles Falkenberg and their two children Dana and Zoe when terrorists crashed American Airlines Flight 77 into the Pentagon on September 11, 2001. Leslie and her family were on that plane, heading to Australia for her fellowship at the Australian National University. An associate dean at what was then called the Georgetown Public Policy Institute when I was a student there, I remember Leslie as kind and witty and warm. Though I never had her in a class, I knew her from around the school, which was housed in a small building near the Georgetown campus. In the days following 9/11, fellow GPPIer Francis Creighton emailed me and other classmates informing us of her death. I think of her today, now 15 years later, and I am happy to know that Georgetown remembers her with The Whittington Lecture.